He'd really probably have to take Monkey Grip six or seven times for that thing. Author's Note: This guide was written prior to a Pathfinder FAQ entry on Massive Weapons which states that it does not allow the use of a Large two-handed weapon by a Medium character. The FAQ entry greatly diminishes the value of the ability, as there is essentially no reason for a Medium character to need a Large one-handed weapon, as a Medium two-handed weapon will have, in most cases, the same damage and require no special class abilities to use. This guide as written assumed the original Rules as Intended were to allow the use of Large weapons without qualification. Should your table be using the most recent FAQ entry on the matter, the advice contained herein will not be of use to you. Many fans of Pathfinder may remember the Monkey Grip feat from Third Edition. 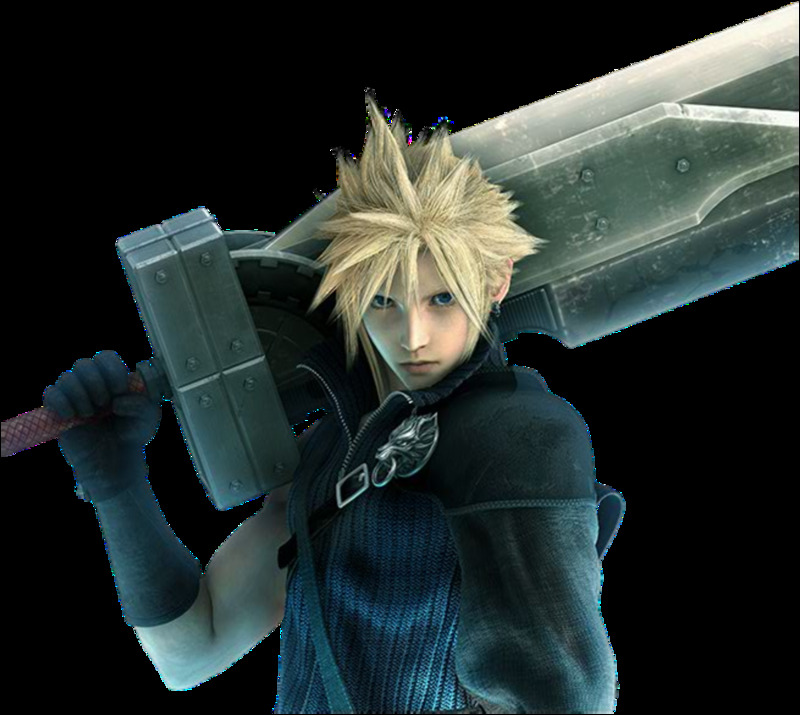 Untold numbers dreamed of playing Cloud Strife, of Final Fantasy VII fame, with his gigantic Buster Sword, and there was much rejoicing. But when you did the math, Monkey Grip didn’t really make you a better damage dealer. Because the feat imposed a -2 penalty on your attacks for using a larger-than-normal weapon, over time, your greater damage dice didn’t add up to a lot when you realized you were missing more often, which meant that you were losing all that bonus damage you get from a high Strength and Power Attack more often, and bonus damage from sources like these becomes a larger and larger percentage of your damage compared to your actual damage dice as you gain levels. So, in the end, all those Buster Sword dreams were crushed, and Monkey Grip was left to despair, both unloved and unused. That brings us to Ultimate Combat, where Paizo has taken a stab of their own at providing a way to play a character with a Really Big Weapon. Instead of a feat, they gave us the titan mauler barbarian archetype (p. 30). Centered around dragon- and giant-killing, the titan mauler wields weapons taken from felled giants and learns the very useful trick of avoiding the reach of his massive foes. At higher levels, he can become a titan himself, increasing his size during a rage. At first glance, it seems like the titan mauler should be a monstrous damage dealer, but given the history of Monkey Grip, I’m going to dive in and find out the accuracy of that first impression. 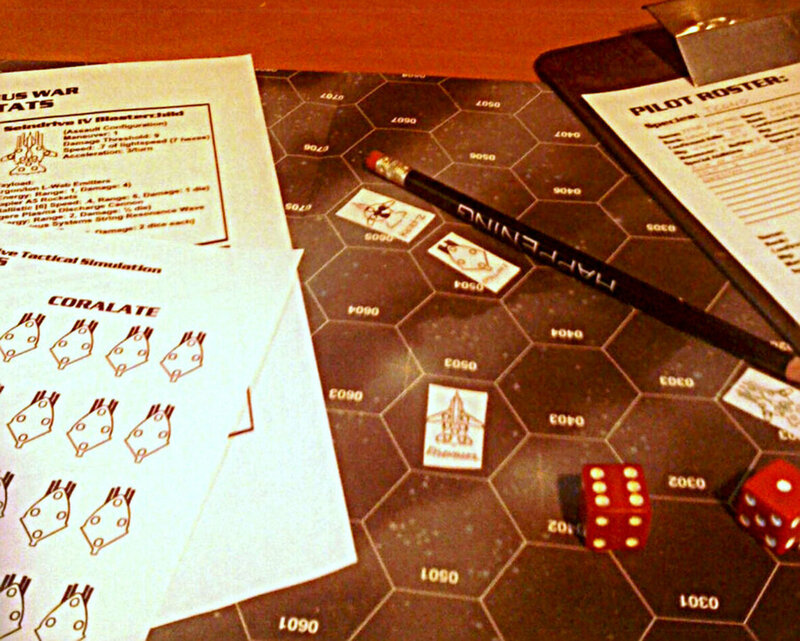 At 1st level, the titan mauler gives up fast movement for big game hunter, which grants a +1 bonus to his attack rolls and +1 dodge bonus to his AC against creatures larger than him. This is largely for flavor, I suppose, but it’s probably a net-loss for the barbarian, since fast movement is very useful. Defensively, this means the titan mauler will have to stick to light armor until he can pick up a mithral breastplate if he wants to avoid a 20 ft. movement speed (and that’s generally a very good idea). But, who picks the titan mauler archetype if they’re concerned about defense, right? At 2nd level, the titan mauler gains jotungrip (in place of uncanny dodge), which allows him to wield two-handed weapons in one hand with a -2 penalty to his attack rolls. This is a net loss, in general, unless you really want to dual wield greataxes (but you’d be suffering some huge penalties if you did). This ability has the same general problem as Monkey Grip did—the attack penalty does too much to offset the benefit of using larger weapons. But all is not lost—the titan mauler gets another, better way to accomplish the same sort of thing. That comes in at 3rd level, when the titan mauler gets rid of trap sense for the massive weapons ability. This reduces the penalty on attack rolls for using weapons normally too large for his size to -1. At 6th level, the penalty’s removed completely, allowing the titan mauler to wield a large greatsword without any additional effort. If he’s the type that would have loved to dual wield greatswords at level 2, he can instead use two large-sized longswords (which have the same base damage) at no penalty. This is, in essence, Monkey Grip without the penalty that kept it from functioning properly. So what does that mean for the titan mauler’s damage? If he’s using a greatsword, his base damage jumps from 2d6 to 3d6—which, on average is an extra 3.5 damage a hit. With Weapon Specialization being a +2 damage bump, that’s fairly significant, and we can see right there why previous designers were weary of a Monkey Grip feat without a penalty. For the titan mauler, with the ability defused over a few levels of play, it becomes a lot more appropriate right around sixth level, when wizards have been flying around in combat for an entire level. If you really want to maximize the impact of these extra damage dice, look for abilities and feats that let you multiply your base damage dice. The Vital Strike line comes to mind (who doesn’t want to roll 6d6 for a standard attack? ), and you might also consider weapons with high critical modifiers, like the greataxe or the scythe. For those, the mighty swing rage power would be a great choice once you hit level 12. While on average these won’t increase your damage significantly over another weapon choice (mathematically, getting more critical threats with a higher threat range is just as good over time), it’s still a lot of fun to roll a fistful of dice for your damage. In general, though, you can build a titan mauler the same way you would a normal barbarian. The same feats and rage powers tend to benefit them both. At 5th level (right before you get what you really wanted out of the archetype), the titan mauler trades improved uncanny dodge for a rather useful ability, evade reach. You can designate one enemy as a swift action, and treat their reach as 5 ft. less than it normally is for that round, allowing you to close in on the giant or other large creature without getting smacked in the face. Every 5th level after that, you can ignore another 5 ft. of reach for that round, letting you get in melee with larger and larger creatures. As you gain levels, monsters tend to get larger pretty quickly, so this will see a lot more use in a many campaigns than improved uncanny dodge would. 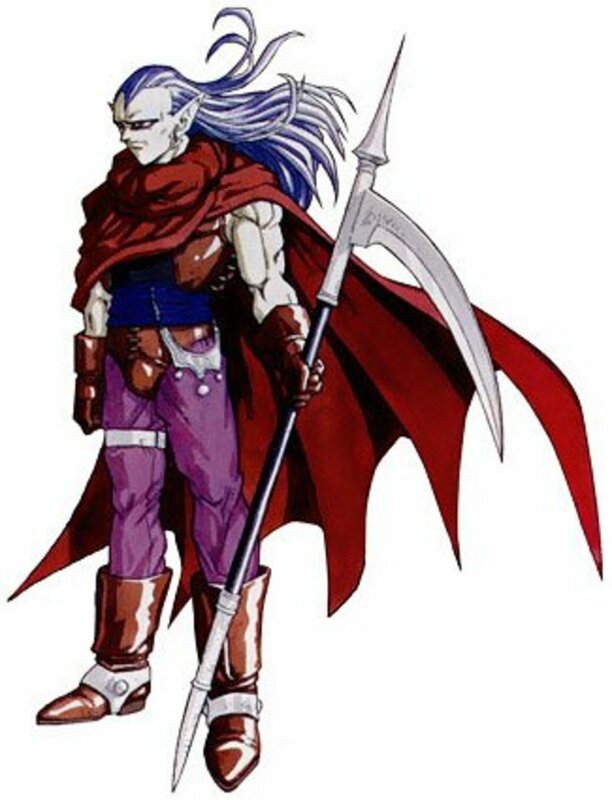 If you’re going for a less tribal character (like, say, Cloud Strife), you’ll probably be multiclassing out of barbarian after 6th level, since all you really wanted was the ability to use your Buster Sword properly. If you stick with titan mauler until 14th level, though, you gain the titanic rage ability, allowing you to gain the effects of enlarge person during a rage, doubling the number of rounds of rage you spend and leaving you exhausted after the rage. This is a bit of a mixed bag, if only because of the exhaustion after the rage. Your base damage goes up to 4d6, you gain +2 Strength, and you also gain reach. If you’re this far into barbarian, though, this is probably a better ability than indomitable will (which you give up for it), so it’s probably a fair trade. You’ll just want to make sure you have enough rounds of rage to last the entirety of the combat, and you want to also make sure you’ve got a reliable way of removing your exhaustion—perhaps a paladin best friend that takes the exhaustion mercy. So let’s take that information and put it into practice. The titan mauler doesn’t do a lot to change the way you’d want to build a barbarian. I’m just providing a foundation here, as you can get all the essentials for a barbarian by level five or so. Feel free to swap out rage powers for others that you like, as there are really a lot of good ones. For this sample build, though, I’m working under the assumption that you want to maximize your damage and that you want the beast totem powers to pick up pounce when you hit level 10. Nothing to it, right? Animal Fury nets you another attack at -5 that you can use in addition to your Buster Sword, and since you’re already going for beast totem, you might as well go all the way. You’ll definitely want to fit in the other beast totem rage powers, but you’ve got lots of room to take others (like the awesome superstitious line), and even animal fury isn’t necessary. In a technical sense, you don’t need Raging Vitality until your level is half of your Constitution score (to prevent that nasty instant-death scenario that happens if you’re knocked unconscious while raging), but it’s a good feat anyway. If you need to fit in another feat at that level, you can do so without any issues. So, in (not so much of) a nutshell, that’s the titan mauler. If you’re looking to wield larger than normal weapons, you can finally do so in Pathfinder successfully. The archetype’s also bound to be useful in any campaign or adventure that has a heavy focus on giants or other large creatures (who doesn’t want to pick up the frost giant’s greataxe and actually be able to use it?). The archetype’s only real downside is the awkwardness of jotungrip, given that it’s almost immediately supplanted by the massive weapons ability, but not everything can be perfect. At least it’s no holy gun. I read somewhere that the author had pitched in, admitted that RAW didn't allow for Buster-swording, but RAI was to allow it.
" Barbarian--Titan Mauler: Can a Medium titan mauler wield a Large two-handed weapon, such as a Large greatsword? No. The "Inappropriately Sized Weapons" rule (Core Rulebook 144) says (in summary) that a creature can't wield an inappropriately-sized weapon if the size difference would increase it one or more "steps" beyond "two-handed." None of the titan mauler's abilities say the character can break the "steps" part of the "Inappropriately Sized Weapons" rule, so the character still has to follow that rule. I hadn't actually been keeping up with the FAQ for many months (obviously), and I'll have to take some time to rewrite the entire guide now that I've seen the entry. Unfortunately, the FAQ entry makes the archetype, so far as I can tell, almost entirely pointless. A Large longsword does the same damage as a Medium greatsword, and this generally holds true for every one-handed weapon: there is usually a two-handed weapon of similar nature that will do the same damage as a large version of the Medium one-handed weapon. As a result, the Titan Mauler actually provides little to no benefit from its signature class feature according to the FAQ. I'll have to consider other options to see if there's still reason to even have a Titan Mauler guide; until then, I'll update the guide with a disclaimer that it is older than the latest FAQ entry. Thank you for bringing the new FAQ item to my attention. This article is harebrained. Massive Weapons doesn't work the way you think it does, it does not allow you to wield oversized weapons, only reduced the penalty - and Yes, paizo has confirmed this in either a faq or an errata, can't remember which. I suspect it was in a FAQ, though. @kris V: You don't gain the weapons' reach when you use an oversized weapon, you keep your own. If the over-sized weapon is a reach weapon, you are treated as wielding a reach weapon. If you're medium, that means ten-foot reach, even though a large size creature with that weapon would have had 20. Nor do you gain reach when you use an under-sized reach weapon in one hand. I haven't been able to turn up that errata, can you provide a source for that? If they have updated it, it's not included on the official Paizo reference document, and I can't seem to turn up any errata documents for Ultimate Combat on the site, either. To be honest, that's probably more of an issue for the errata than anything. Most DMs I know would still allow a Medium Titan Mauler to use a Large greatsword, as that seems to be the intent of the ability itself. Your table may vary, of course. Except. . .Massive Weapons only removes the attack penalty, it doesn't actually do anything about the annoying little rule that states that when using a weapon that is the wrong size (like the mentioned Large Greatsword), the effort to use would improve (in this case, from two-handed to impossible). And thusly. . .Massive Weapons is worthless, even with the loss of penalty by the time you hit lv12, since you can't use any weapon larger than Huge due to the effort of use changes. Well put, using a level 5one now. My standard rage dmg is 2d8+9 15-20x2 with 1d6 stacking bleed. +4 to attack after a crit and can add 1d6 to a failed attack roll (very limited) . Good stuff!